A few years ago, journalism professor McKay Jenkins went in for a routine medical exam. What doctors found was not routine at all: a tumor, the size of a navel orange, was lurking in his abdomen. When Jenkins returned to the hospital to have the tumor removed, he was visited by a couple of researchers with clipboards. They had some questions for him. Odd questions like, how much exposure had he had to toxic chemicals and other contaminants? Asbestos dust? Vinyl chlorine? Pesticides? 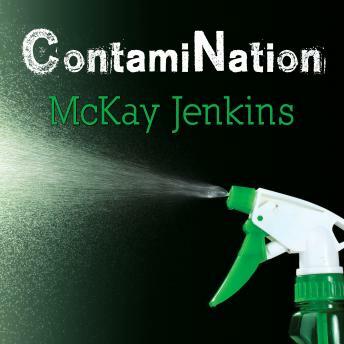 From the moment he left the hospital, Jenkins resolved to discover the truth about chemicals and the 'healthy' levels of exposure we encounter each day as Americans. He spent the next two years digging, exploring five frontiers of toxic exposure-the body, the home, the drinking water, the lawn, and the local box store-and asking how we allowed ourselves to get to this point. Most important, though, Jenkins wanted to know what we can do to turn things around. Though toxins may be present in products we all use every day, there are ways to lessen our exposure. ContamiNation is an eye-opening report from the front lines of consumer advocacy.